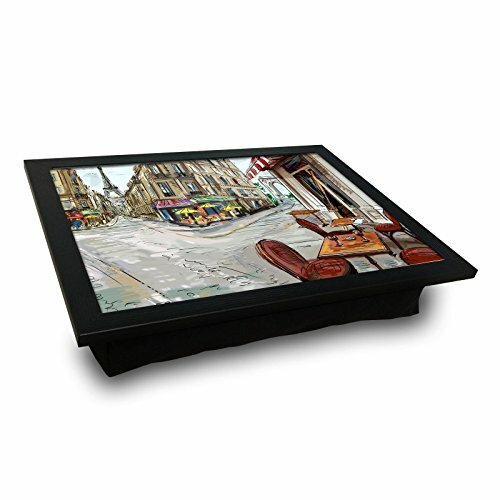 >>> [USE AS SERVING TRAY] Has a 1.2" frame that prevents things from falling off. You can put food or drinks while sitting in bed, sitting on a chair or resting on the couch. >>> [AS LAP DESK] You can put laptops, tablet, iPad and e-readers. Don't let your laptop burn your lap, it keeps your lap cool and comfortable. >>> [EASY PORTABLE] Best for BREAKFAST It is convinient for indoor outdoor use. Take this pillow tray with you wherever you go. It is lightweight and easy to carry. It's also perfect for travel. [USE AS SERVING TRAY] Has a 1.2" frame that prevents things from falling off. You can put food or drinks while sitting in bed, sitting on a chair or resting on the couch. [AS LAP DESK] You can put laptops, tablet, iPad and e-readers. Don't let your laptop burn your lap, it keeps your lap cool and comfortable. [EASY PORTABLE] Best for BREAKFAST It is convinient for indoor outdoor use. Take this pillow tray with you wherever you go. It is lightweight and easy to carry. It's also perfect for travel. QUALITY GUARANTEED | Please don't hesitate to contact us if you have any further questions. All of our products have 30 days full refund guarantee. Do not forget to look at our other products!